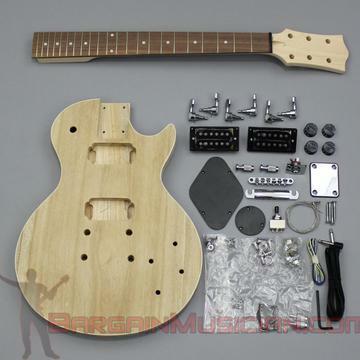 A special note about this kit, the body is made with lightweight Paulownia wood. This will allow you to make a 6 pound guitar. Most guitars weigh 8-10 pounds. Also please note this is a bolt-on neck. - Body is Paulownia, Neck is Maple, Fretboard is Blackwood Tek.